Units of Russia's 5thdetached motorized rifle brigade were observed in the Donetsk sector. The Main Intelligence Directorate of the Ukrainian Defence Ministry has published the list of Russian artillerymen of the 5th detached motorized rifle brigade (military unit 08805, Makiyivka) of the 1st Arms Corps (Donetsk) of the Territorial Troops Centre of the Southern Military District who take part in hostilities in Donbas. The list mentions the command of artillery units of the 5th detached motorized rifle brigade: brigade artillery commander and artillery section chief Sergey Ivanov, and the deputy artillery staff commander, Andrey Bachenko. It also contains the names of over 30 servicemen of self-propelled howitzer and self-propelled artillery battalions of this brigade. Harassing fire has recently been registered in Donetsk, Yasynuvata, Olenivka and Dokuchayivsk. 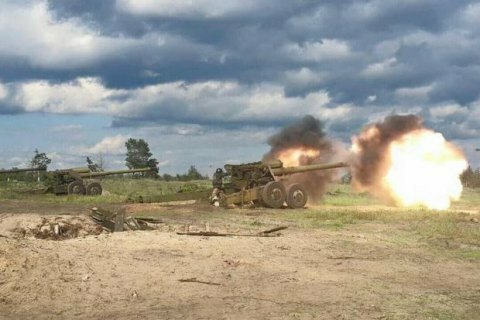 The regular redeployments of artillery units of the 5th detached motorized rifle brigade in the Donetsk sector to fire on Avdiyivka, Pisky and Vodyane have been observed since the beginning of July. As reported earlier, the secretary of the National Security and Defence Council, Oleksandr Turchynov, did not rule out a full-scale military offensive by Russia.